Over 11 Million Reasons to Celebrate! Terri and I were ecstatic to learn the final tallies for National Collection Week 2016! We hope you will join us and our Operation Christmas Child partners in praising the Lord for 11,485,662 shoebox gifts packed in 2016! 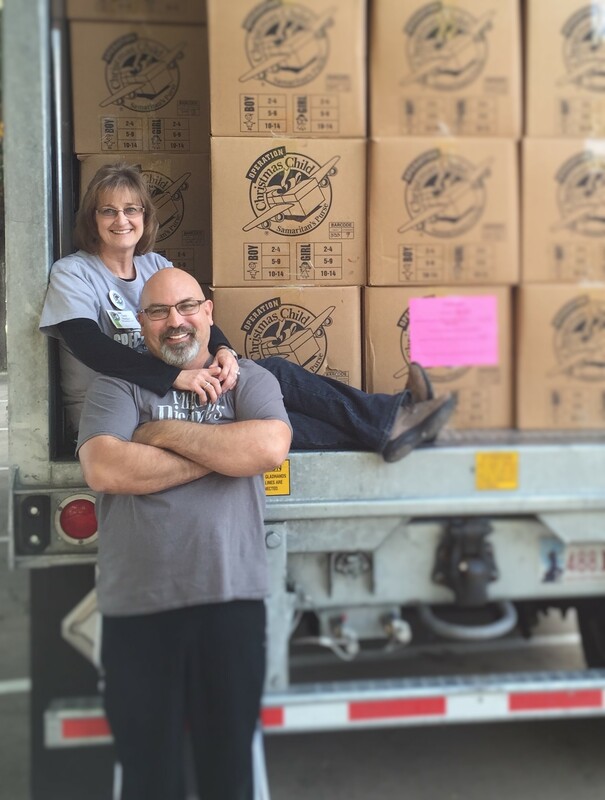 We are overwhelmed with joy by the staggering number of boxes filled by people just like you all around the world. Our God is immeasurably awesome, far-exceeding our imaginations and wildest dreams! God is GOOD! In the days ahead, we ask that you would continue to pray for each child that will be receiving these love-filled gifts, that they would feel God’s love, and most importantly that each child would come to know Jesus Christ as their Lord and Savior. God bless all of you in our North Dallas area that packed a shoebox gift and all the volunteers that made collection week happen. You were each invaluable in collecting the 7, 342 shoebox gifts we received locally. Thank you to our home church, Trinity Bible Church of Richardson, Pastor Jeff Miller and the entire staff and leadership of TBC. Your unbelievable, unwavering support has and is tremendous.